More than 350 investors in Nakheel’s Palm Jebel Ali have signed a petition urging the developer to reschedule their payment plans because their villas will be ready four years late. While land reclamation on the development, the second of Nakheel’s Palm trilogy, is complete and infrastructure work is under way, construction of the villas is yet to begin. Investors were told in January the handover of property had been changed to 2012, having initially been scheduled for last June. The letter referred to other developers who had revised payment plans because of the global economic crisis and said “as Nakheel is the region’s biggest developer, we expect the same or better”. A Nakheel spokesman said the company was addressing the issue and working with the Dubai Real Estate Regulatory Authority (RERA) for a solution. This could involve a restructured payment plan. 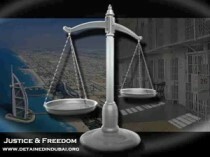 The spokesman told investors Nakheel would respond to the petition in “two to three days”. “I was disappointed that we could not meet with the real decision makers, who we requested an appointment with,” said Saqib Iqbal, a representative of the investors group. “We have paid for the last three years, so we wanted to get answers to our concerns. The project has already been delayed by four years and there is no guarantee that even after four years it will be delivered. So why, if something has been delayed for so long, are they still collecting payments? In response to the slowdown in the property market and liquidity shortages, RERA announced this year that the first 30 per cent of the sales price of a unit would be “up front” and not connected to construction, but the remaining 70 per cent of payments would be linked to construction progress. The move was expected to remedy a widespread situation in Dubai where a buyer may have paid a significant percentage of the price to the developer when construction had only just begun. RERA is also encouraging developers to adjust their payment schedules to allow buyers more time to pay and reduce the risk of default. Firms including Deyaar Developments, Union Properties and Emaar Properties have already announced new payment plans. Villa prices at Palm Jebel Ali fell about 45 per cent during the last quarter of last year, with some “distressed sellers” now selling their units at Dh800 per square foot, compared with more than Dh2,000 when the project was launched.